Dr Sanjay Mukhedkar from Oncology West says it’s natural to be worried about what lies ahead if you are diagnosed with cancer but there are aspects of treatment that are not going to be as bad as you think. Dr Mukhedkar shares some of his insights. All my hair is going to fall out. Not all chemotherapy drugs cause hair loss. If you do you lose your hair, it is likely to regrow within a short time after you completed your treatment. I’m going to feel sick all the time. 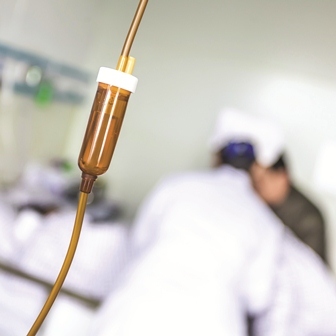 Although sometimes chemotherapy can make you feel nauseous, oncologists are able to adjust dosages and types of drug combinations to make you feel better. Studies show that chemotherapy patients have a much better quality of life than patients who are not being treated with chemotherapy. Almost all cancers are treatable.The earlier the cancer is detected, the better your chance of survival. If your cancer is not treatable, oncologists will help you feel as well as possible for as long as possible. I will need to take vitamin supplements. If you eat a balanced and healthy diet, you will not need to take extra vitamins. I’m going to be tired all the time. Sometimes, tiredness can come from treatment or the cancer itself. Regular, daily exercise can help combat fatigue. I’ll have to stop work. Not all people stop working when they are diagnosed with cancer. People need to make allowances for interruptions and working hours might need to be modified to find the balance that is right for you.